Celebrities Suffer From Gluten Allergies – You’re Not Alone! Many people suffer from an allergy or intolerance to a substance called gluten. No cure for gluten allergies exists, and celebrities and regular people have to deal with the problem with the universal solution of not eating gluten-based foods. Here are twenty famous individuals who must avoid gluten. 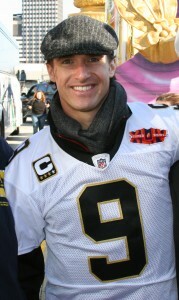 Drew Brees is the star quarterback for the Saints who threw for over 5,000 yards in 2011. However, none of the energy for those yards came from gluten, because the quarterback has an intolerance to gluten in the form of Celiac disease. Celiac disease is a condition that affects the small intestine and can cause fatigue, bloating and diarrhea when gluten is consumed. Twins first baseman Justin Morneau has suffered from injury concerns during his recent seasons, including two concussions. However, during visits to numerous doctors during the offseason to get himself healthy for 2012, Morneau learned that he is allergic to gluten in a unique way. Morneau’s injury woes may actually be related to his gluten allergy, as he learned that his body develops inflammation when he consumes gluten. As a reaction, his body fights gluten inflammation rather than fighting inflammation caused by injuries. 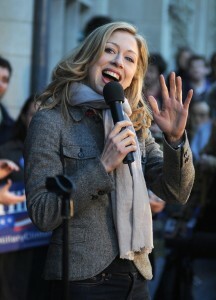 Bill Clinton’s daughter, Chelsea Clinton has an allergy to gluten and decides to enjoy a vegetarian diet. The famous political daughter even had her New York wedding catered with vegetarian and gluten-free foods to allow her to deal with her allergy on her special day. In fact, even her wedding cake was made without wheat to make it gluten-free. 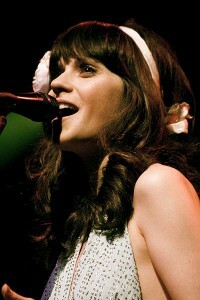 Zooey Deschanel, star of the show “New Girl,” promotes gluten-free diets due to her intolerance to the substance. She as appeared on cooking shows and revealed recipes that she uses in her daily life to help her enjoy her gluten-free diet. Novak Djokovic is a world renowned tennis player, but he must avoid fueling up on gluten-based foods. The star tennis player has even stated that going on a gluten-free diet has improved his game due to the elimination of allergy symptoms, and his improved game even led to him defeating another tennis star, Rafael Nadal, four times in 2011. Victoria Beckham, wife of soccer star, David Beckham, insists that she stays fit and slim by following a gluten-free diet. The British fashion icon says that gluten causes her metabolism issues and problems maintaining her desired weight. Beckham’s body generally has problems breaking down gluten in foods, and as a result, she can gain weight from consuming the tiny protein. Actress Jessica Simpson states that she cannot properly digest wheat products. The gluten found in most wheat causes severe inflammation in her stomach, and she has had ulcers develop in the past as a result. Her lack of consumption of high carbohydrate wheat products likely helps her maintain her slim shape as well. Olympic runner Amy Yoder Begeley must avoid eating gluten in her high energy diet. Unlike Michael Phelps, the runner cannot eat thousands of calories of grains and wheat before training and events. Begeley was diagnosed with the allergy in the year 2005, but she has not let the condition slow her Olympic training over the years. 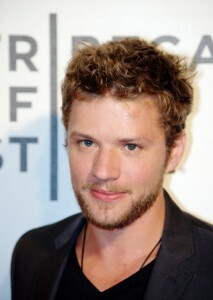 MacGruber star Ryan Phillippe has appeared on the cover of Men’s Health magazine because of his bulk muscles. However, the actor does not consume gluten in his muscle building diet, and he has had to change his diet dramatically to allow him to maintain his muscularity and impressive stature. 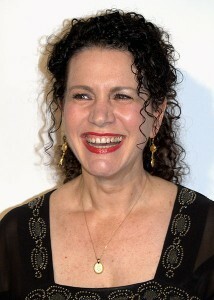 Susie Essman is mostly known for her role on the show “Curb Your Enthusiasm.” The actress and comedian deals with Celiac disease, and she has to avoid gluten in her diet in order to avoid fatigue and digestive problems. Rachel Weisz, who has appeared in films such as “Constantine” and “The Mummy,” says that she has an intolerance to wheat. Wheat allergies are commonly attributed to gluten found in the food, and Weisz must avoid wheat products to prevent stomach inflammation and digestive issues. Heidi Collins, a news anchor for CNN, was diagnosed with Celiac disease over six years ago. However, the news anchor says that she has had digestive issues for over twenty years, and she has even had to leave special events early because of illness in the past. Prior to her diagnosis, she was told that her symptoms were related to stress, but now the anchor enjoys a gluten-free diet and no longer deals with nausea and pain from Celiac disease. Dr. Phil’s wife, Robin McGraw, regularly avoids eating gluten-based foods due to the digestive troubles the substance causes her. Dr. Phil is constantly promoting healthy physical and mental living on his TV show, so his wife has promoted her special diet to demonstrate the importance of health awareness. In addition, Robin McGraw believes the diet helps create healthy well-being. 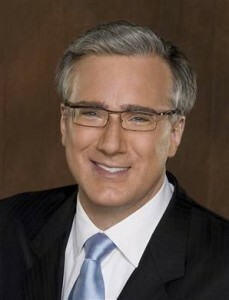 Keith Olbermann, who has been a broadcaster for Fox and ESPN, deals with a case of Celiac disease. The broadcaster says that gluten is “like poison” for his body, and people with Celiac disease must always be aware of the dangers that surround consuming gluten because of the condition. 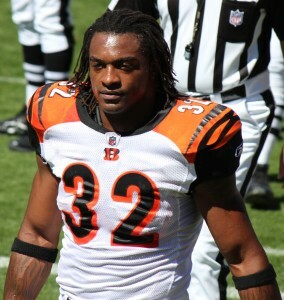 Cincinnati Bengals running back Cedric Benson discovered he had Celiac disease soon before he became the main ball carrier for the team. The football player has learned to change his diet to gluten-free, and he says that his dietary changes have affected nearly every aspect of his life from his attitude to his physical performance on the field. 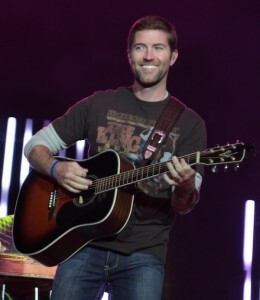 Josh Turner, famed country singer, leaves gluten out of his diet for allergy reasons. The singer has appeared on TV cooking macaroni and cheese with Martha Stewart, but Turner would not be able to eat the dish himself due to his allergy. 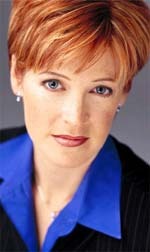 Elisabeth Hassebeck, member of “The View,” discusses her life with Celiac disease frequently. Hasselbeck often provides tips on how to live gluten-free, and she has even written a guide on how to enjoy a gluten-free diet. Hasselbeck occasionally references her condition during “The View,” but she strives to be an example of how living gluten-free is possible and easy. Emily Rossum, known for her glamorous acting, has an celiac disease. The actress even once had to forfeit the cake portion of a birthday cupcake she received on MTV News because of her allergy. Rossum was still able to eat the icing of the cupcake, but she cannot enjoy the same wheat/gluten-based cakes that people without gluten allergies enjoy for their birthdays every year. U.S. swimmer Dana Vollmer no longer loads up on gluten-based carbs before big swimming events. The gold medalist of the 2011 World Swimming Championship stopped eating gluten after years of dealing with stomach pains and low energy. Since diagnosis, Vollmer has been able to achieve swimming titles at numerous U.S. and international swimming events. 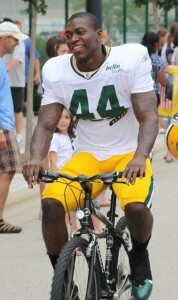 Green Bay Packers running back James Starks has become re-energized since he started a gluten-free diet. The running back says he was able to build a stronger frame after giving up gluten, and he has been able to start a more rigorous training regimen. The running back’s renewed energy did not set the Packers up for a Super Bowl in 2012, but perhaps his new diet will render the team more successful in the playoffs next season. PS. Thank you Stefhan Austin State University for mentioning Probiotics.org in your lesson plan! I just found out I have Celiac Disease. Been suffering for years but never knew what it was. I’m trying to educate myself on this issue and know what to eat….It’s a whole knew ballgame …….Help! There is no gluten allergy. A food allergy is an immune system reaction. Yes, there can be an allergic reaction to gluten found in wheat but that is known as a wheat allergy, not a gluten allergy. Gluten is found in wheat, rye, and barley. Just because a person has an allergic reaction to wheat does not mean they will have one to the gluten in rye or barley, thus NOT a gluten allergy, as it does not exist. 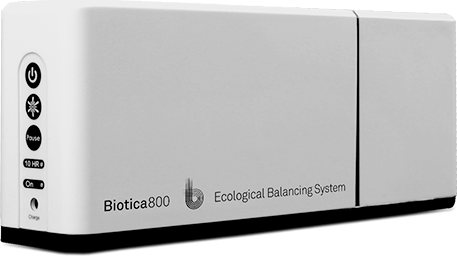 Celiac disease and non-celiac gluten-sensitivity are not allergies because allergies are an overreaction of a person’s immune system to a specific food protein, these allergies can potentially be deadly. Celiac disease and non-celiac gluten sensitivity affects the small intestine and is caused by an abnormal immune reaction to the gluten found in wheat, rye, and barley. Serious complications can arise from a person who has celiac disease or non-celiac gluten sensitivity consuming gluten. Such complications include malabsorption, and damage to the intestines. That’s a great idea – why don’t you start a food intolerance support group? I would keep your son away from gluten at all costs…since he’s allergic, eating gluten can make it very difficult for your son to absorb nutrition. Your intestines have a surface area that is as large as a tennis court. Your intestines use all of that surface area to absorb nutrients. BUT – if you eat something that causes inflammation, then the inflammation can reduce the surface area to the size of a towel…and he will absorb very little nutrition :(. 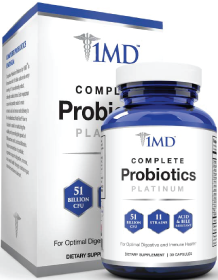 hi everyone out there who has celiac disease take a good probiotic certain reserch shows that it helps with symptoms take care! Thank you for your advice and I am following the diet. I can actually see the change in me from past five years that I have grown height, weight and my immunity is increasing and also I getting beautiful. I love gluten allergy because you can’t eat the junk food which makes you fat. I have heard that people who don’t have gluten allergy they still have gluten free diet because they want to decrease their weight or something’s like that!